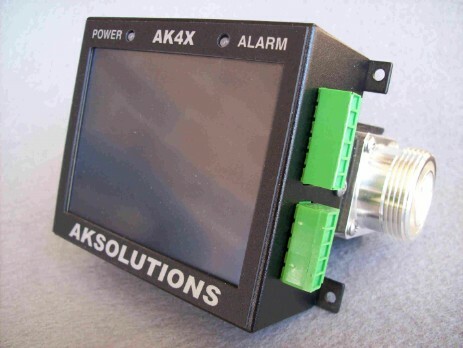 The AK4X series are next-generation RF power monitors featuring all of the capability of our popular AK3XV2 with increased measurement performance and additional functionality. 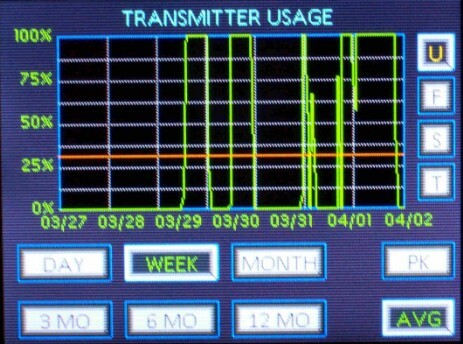 The LCD color touchscreen makes the local user interface fast and intuitive, while providing outstanding visual impact. 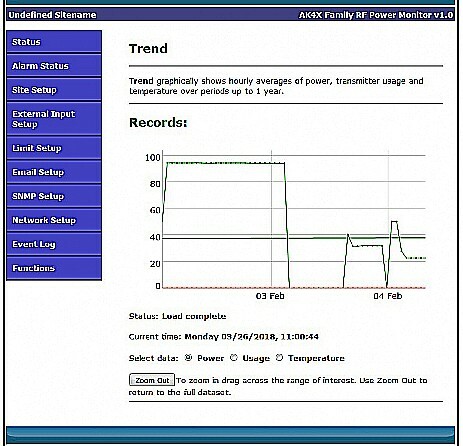 The integrated Ethernet makes setup, status and alarm notification available anywhere using a web-browser or SNMP network management software. Warnings and alarms can be sent to your email, to your mobile phone via SMS, or your NMS via SNMP notification. A Real Time Clock allows for accurate timestamps. 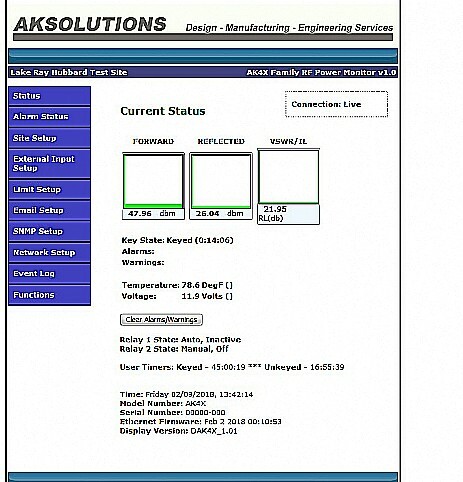 Dual alarm relays can be individually assigned to specific alarms or remotely controlled.